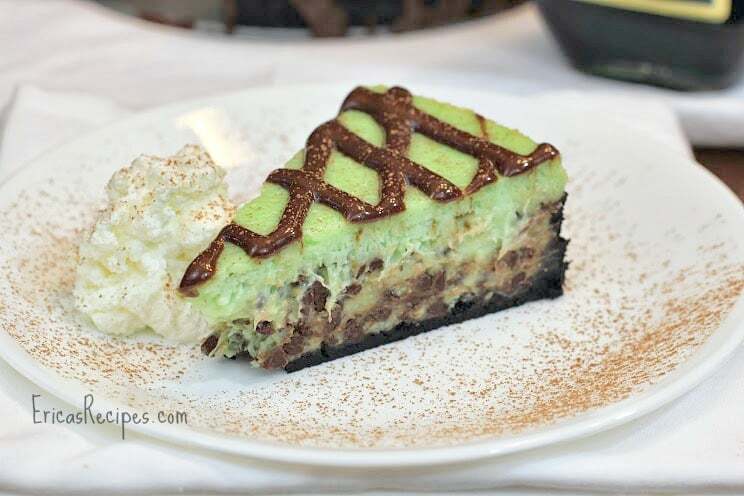 With a cookie crust, nutty chocolate drizzle, and dreamy creme de menthe cheesecake, this Grasshopper Cheesecake with Nutella Mint Drizzle is party-perfect, special occasion-worthy, and an all-around amazing dessert. A few days ago, I was rummaging around in my pantry and spotted a dusty bottle of Créme-de-Menthe that I hadn’t touched in ages. So, I made a new cheesecake! 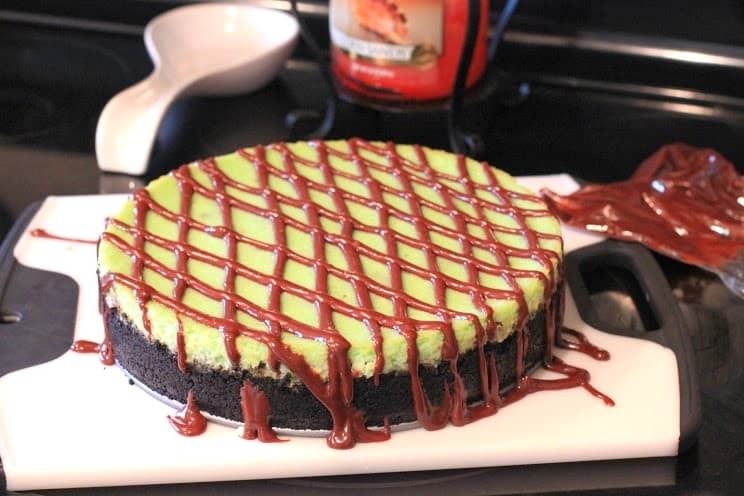 I didn’t add mint candies or cookies or anything like that other than the mint liqueur itself to the cake because I actually wanted just a pretty, mellow cheesecake and not so in your face with the mint. If you want the mint flavor stronger, just up the extract in the drizzle. As written, this is a very chocolaty dessert with just a hint of mint. For the crust, combine the cookie crumbs and butter. Press the crumbs over the bottom of a 9-inch springform pan and 2-inches up the sides of the pan. Chill the crust while the remaining ingredients are prepared. For the filling, beat the cream cheese in large bowl until fluffy. Add the sugar and sour cream and beat until smooth. 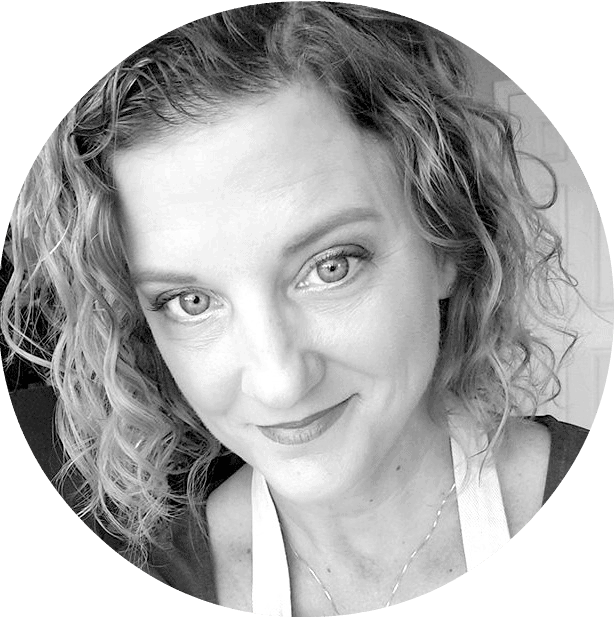 Beat in the eggs and yolks, 1 at a time. 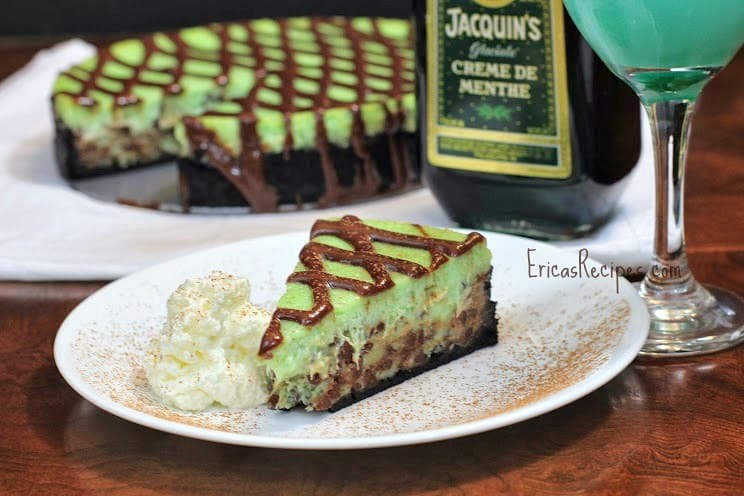 Mix in the Créme-de-Menthe. Fold in the chocolate morsels. Pour the filling over the prepared crust. Place the cheesecake on the middle rack (still with the water bath on the bottom rack – see *Note below). Bake at 325F for 50-55 minutes. 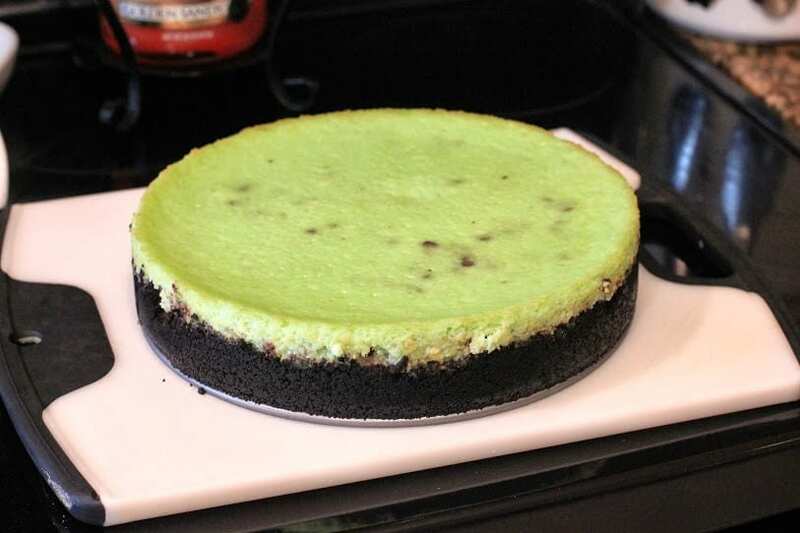 (Remember, cheesecake isn’t actually a cake, it’s similar to a custard so you do not want the top browned and you want the center still jiggly.) Turn off the heat, crack the oven, and let the cake sit there 20-25 minutes. Remove to a rack to cool completely. Cover and refrigerate until well chilled, at least 6 hours. 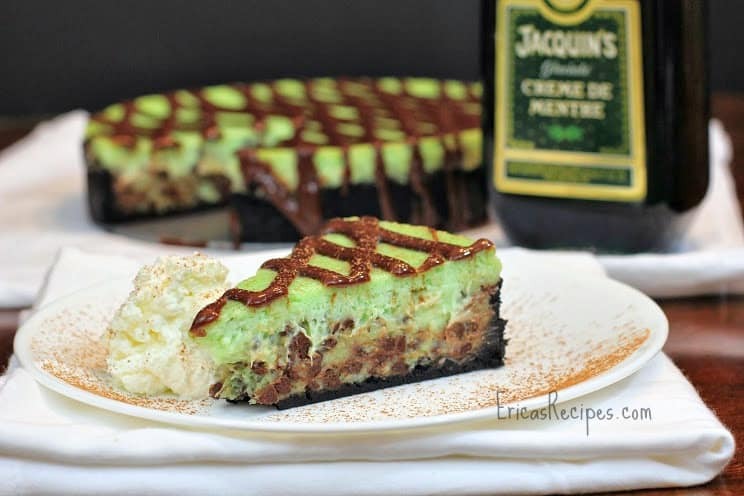 To make the Nutella Mint Drizzle, whisk together the nutella, half and half, and peppermint extract. Drizzle over the cheesecake (I used a sandwich bag with a corner cut off to pipe the pattern in the photos). If desired, dust dish with cocoa powder and serve with whipped cream. stupid question but is it 2 eggs plus 3 more yolks? Not counting the yolk in the previous 2 eggs?